I visit two websites often now to pick up more experience with Bitcoin: fiatleak.com (upgraded, worth a look!) 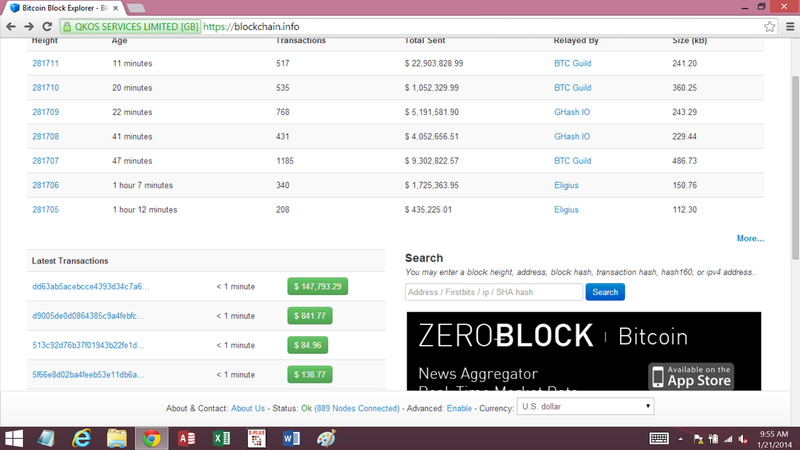 and blockchain.info (which monitors much of the activity of recent BTC transactions). *CLICK* on the image to see the details. BTC Guild just mined a block (and got transaction awards) for almost $23 million! One other little feature of this site that I like is the 10-Year Treasury yield (2.83% above). 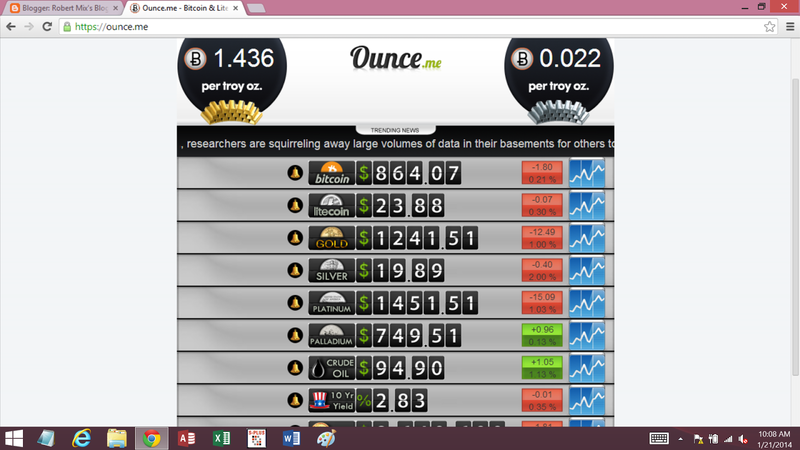 Thanks for the tip on ounce.me I'll definitely be adding that to my watch list!